Come join us to celebrate our first annual photo contest and see the winners! Refreshments served. Where: East Library, 5550 E. Union Blvd. 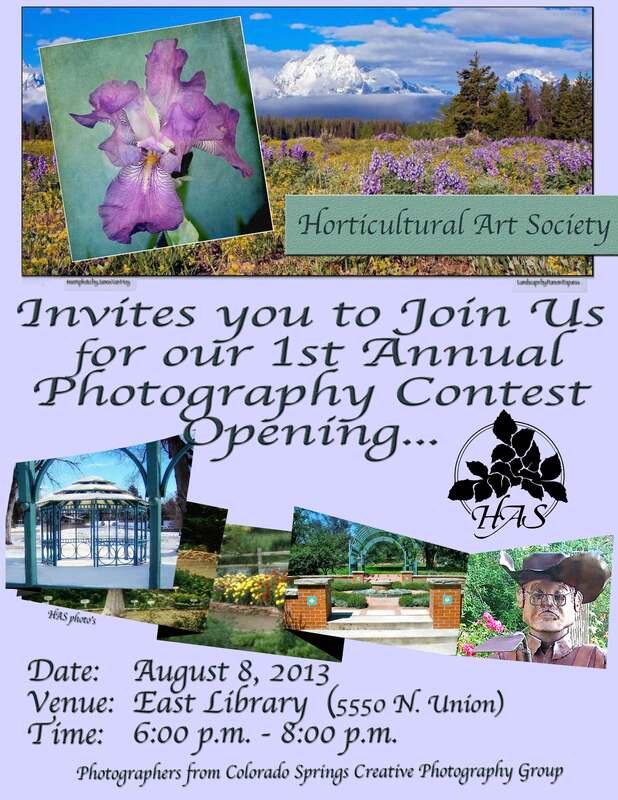 Photos will be on display at the East Library for the month of August. All winning entries represent the gardens tended by the Horticultural Art Society in Monument Valley Park. This entry was posted in Events and tagged has photo contest by careymoonbeam. Bookmark the permalink.